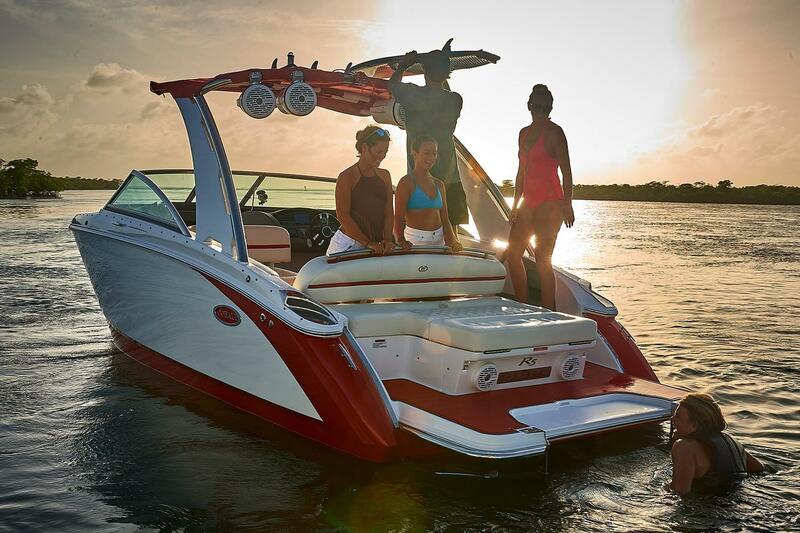 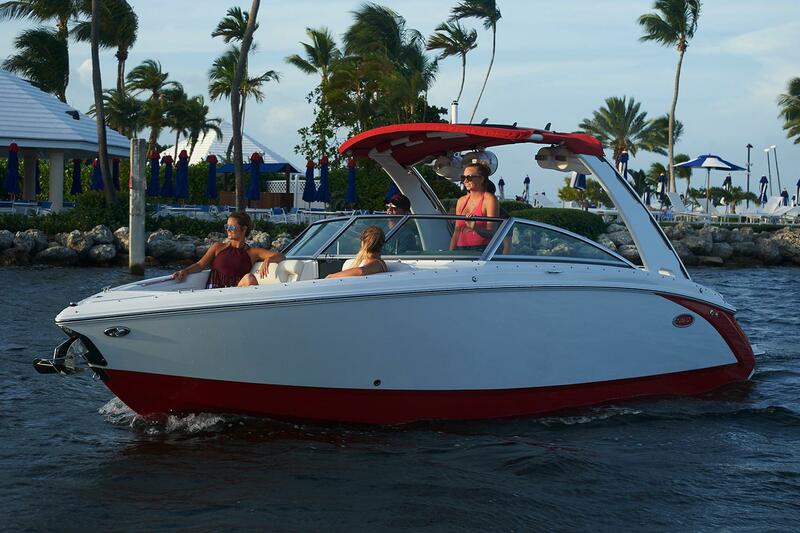 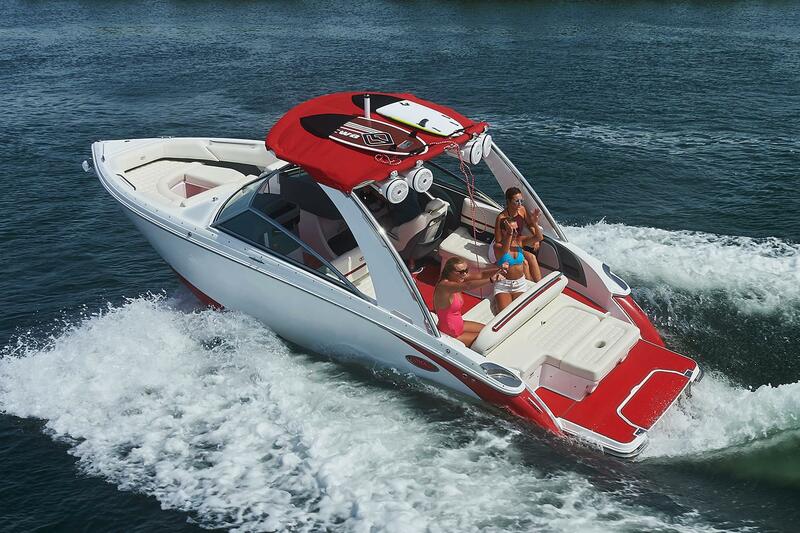 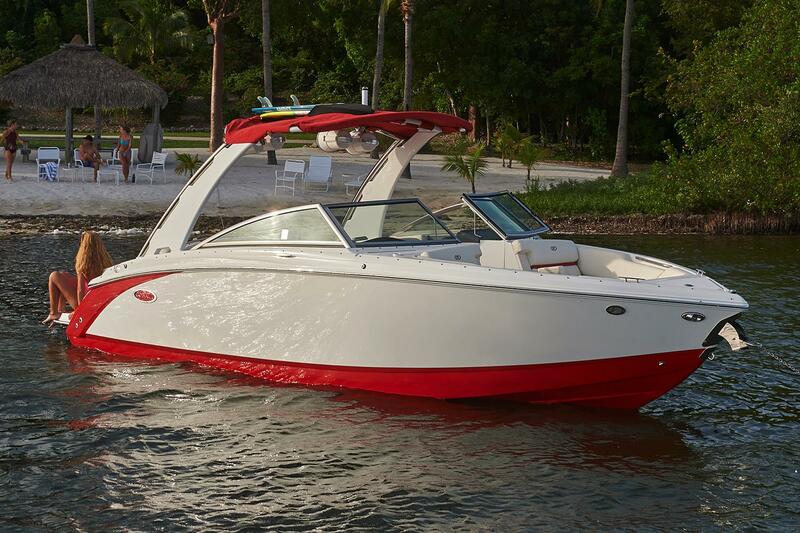 2019 Cobalt R5 Surf featuring an Ebony Hull Side complimented with a Knockout Red Hull Bottom and White Boot Stripe. 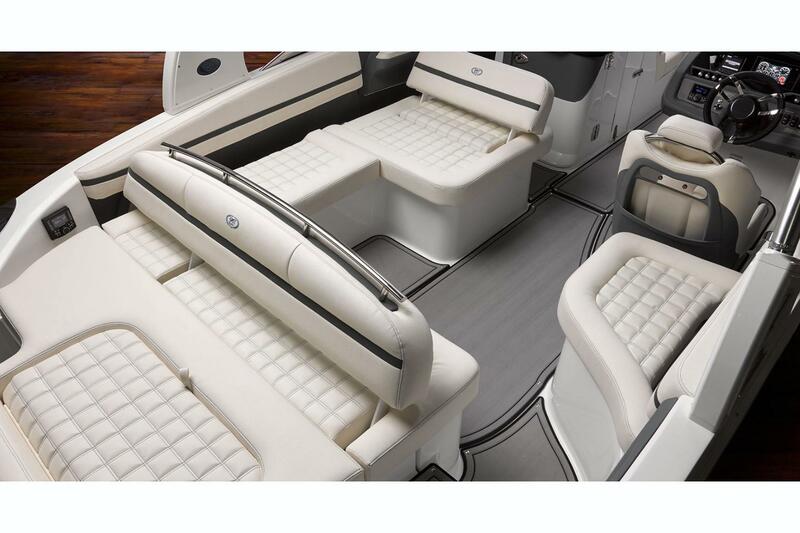 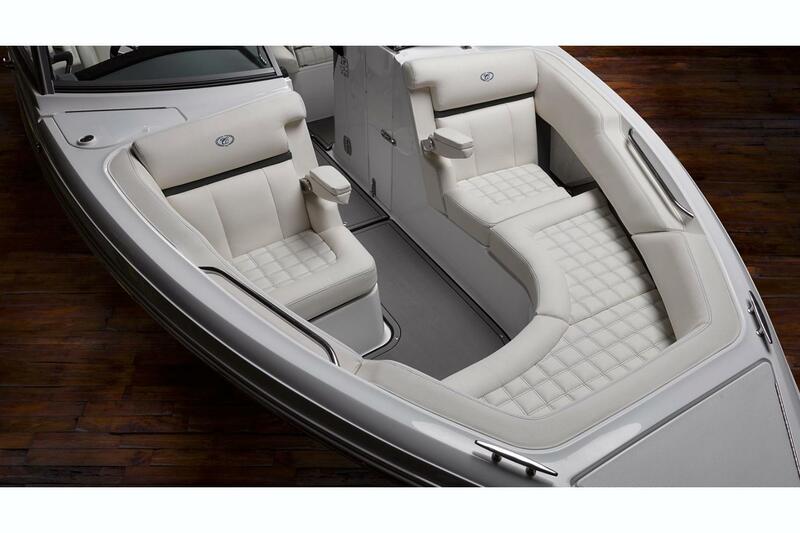 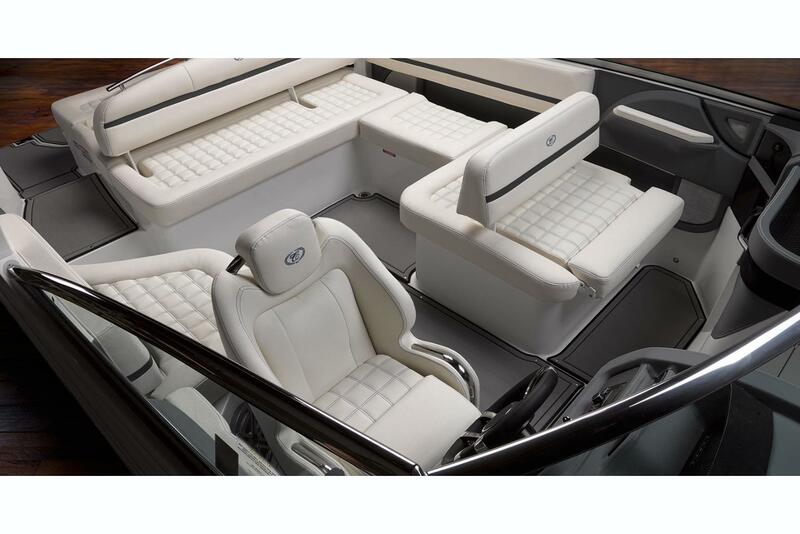 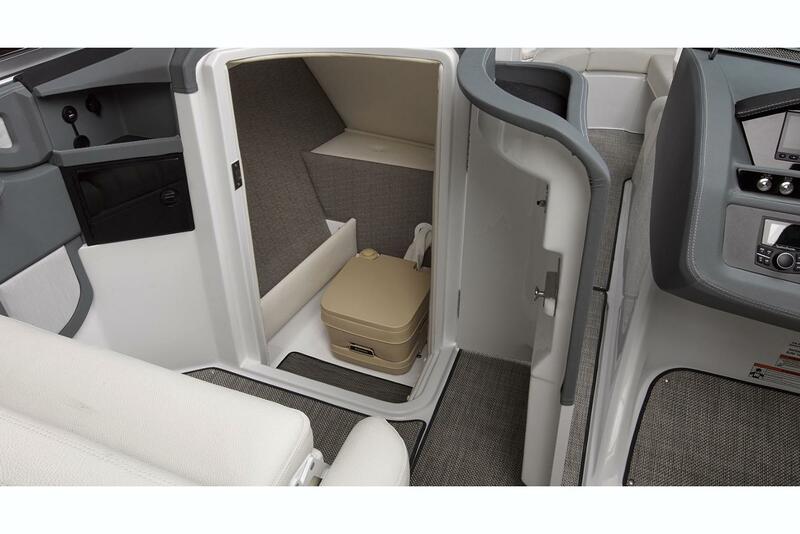 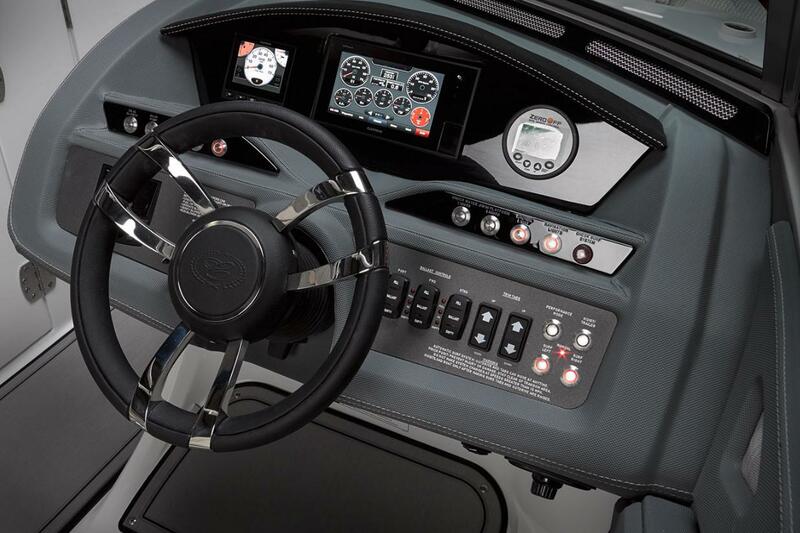 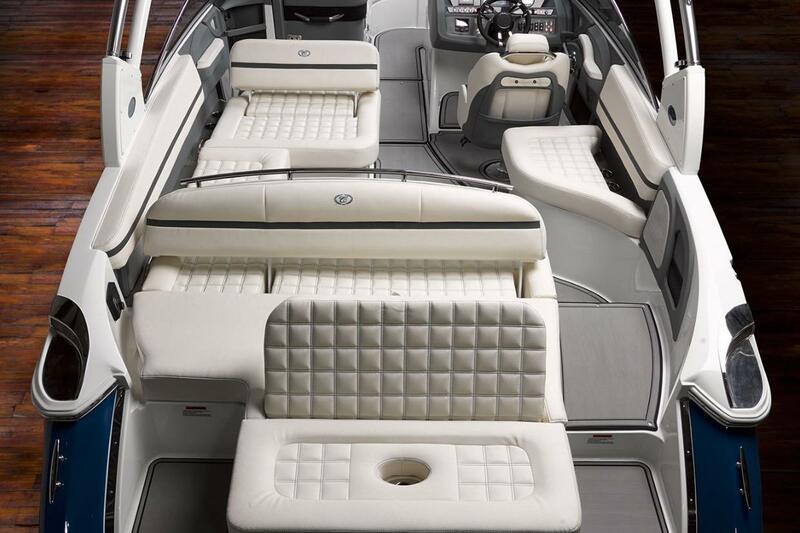 Powered by a 350hp Volvo Penta Forward Facing Drive. 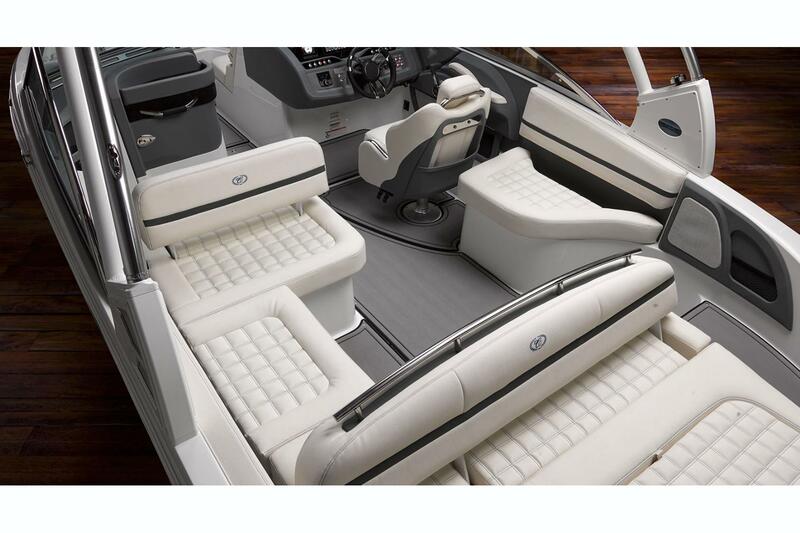 Features Include: Black Forward Folding Arch w/ Bimini, Premium Sound w/ Transom and Arch Speakers, Bow and Cockpit Covers, Stainless Steel Docking Lights, Surf Tow Ball, Swim Platform Transom Lighting, Transom Shower, Underwater Lighting, Air Compressor w/ Holder, Colored Quilted-Pattern Stitching, Dinette Table w/ Cockpit and Sunpad Receptacle, Head w/ Pump Out Porta Potti, LED Interior Accent Lighting, Sof-Trac Marine Mat(cockpit), Sunpad Filler Cushion, Battery Maintainer/Charger, Dual Batteries w/ Switch, Driver's Review Mirror, Custom Painted and Welded Tandem Axle Phoenix Trailer with Custom Wheels, Matching Spare, LED Lights, Vault Bearings, and Disc Brakes.